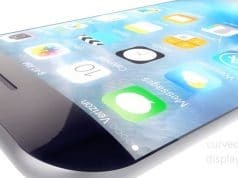 Many rumors pointed out that Apple’s next generation iPhone will use edge to edge design and OLED display, but many of the current iPhone 7 concept are designed ugly and even can be said unrealistic fantasies, did not consider the industrial design reality. 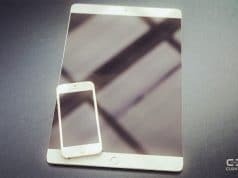 Today, a new iPhone 7 concept appeared with a bezel-free design and invisible home button, different from others is that this design incorporates iOS 10 Preview. New system changed the traditional design of Apple, featuring innovative icon widgets and more customizable home screens. 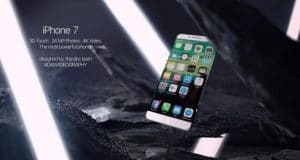 We can see this iPhone 7 concept imagines a device with Touch ID integrated into its display, and a borderless screen that has no bezels. 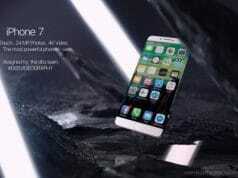 But I have to say, iPhone 7 almost impossible to become like this. However, this does not mean his is a wrong concept, I think sooner or later Apple will launch a truly borderless’s iPhone.